An avenue of 'tilea cordata' lime trees lends the Lodge its unique name and character. 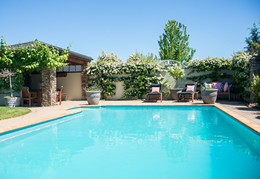 The rustic Central Otago exterior, featuring local schist stone, opens up into a modern and stylish interior with no expense spared on making the surroundings comfortable for guests. 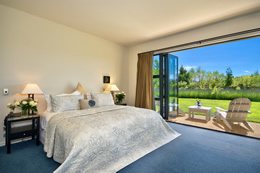 The lodge boasts four luxuriously-appointed ensuite guestrooms and two private suites, each with their own French doors opening out to an expansive veranda and gardens with magnificent views of the Southern Alps. Fresh flowers, bathrobes and slippers, heated floors and king-size beds, clad in crisp cotton and designer linens, make each room a restful haven, with spectacular alpine views and garden access from every room. Inspired by the lime trees which punctuate the Lodge's grounds, guests will find quality 'lime- infused' Linden Leaves toiletries in every room (Linden is the Old English word for a lime tree) and vodka lime gimlets - made with New Zealand's very own Broken Shed Vodka - presented for evening aperitifs in summer months. 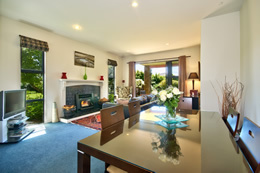 Guests also have exclusive use of the stylish lounge and dining area, with its impressive open log schist fireplace. Complimentary digital TV, CD, DVD and book libraries, wifi, tea and coffee, fresh fruit, home-baking and sparkling mineral water are all on hand for guests to enjoy throughout their stay. 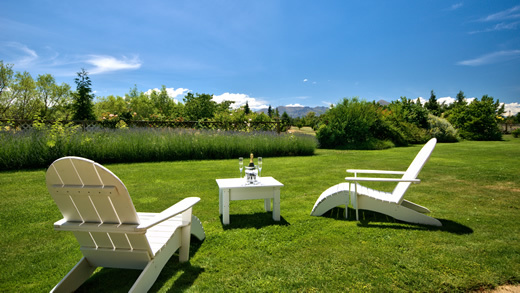 An on-site helipad provides direct access to the region's spectacular ski fields, glaciers and sounds, while a pétanque court, croquet lawn, pitch-and-putt golf course, swimming pool and spa pool make it hard to do anything other than relax and enjoy. 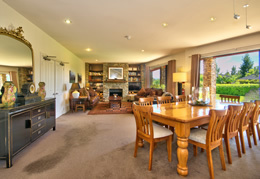 New owners John and Pauline Trotter previously owned a high country station in South Canterbury, and are both warm and welcoming Kiwi hosts with a rich farming heritage and a genuine passion for New Zealand. Their focus is on providing authentic Southern hospitality and outdoor adventures, delivered in style and comfort. If you are looking for luxury bed and breakfast accommodation for your wedding guests or for yourself, book a stay at Lime Tree Lodge - you won't be disappointed.